The robust modular calibration system model BCS10 serves for the inspection of the SF6 gas density measuring instruments by means of comparative measurements. 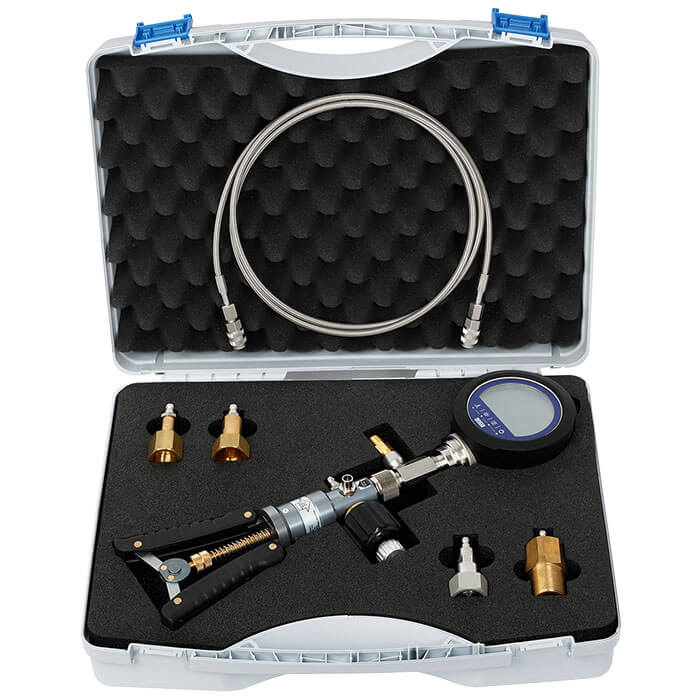 This calibration system is used to check quickly and easily both pressure-based mechanical measuring instruments and electronic measuring instruments. The CPGLog data-logger evaluation software can be used for an uncomplicated evaluation of the measured data. This software can be ordered optionally. 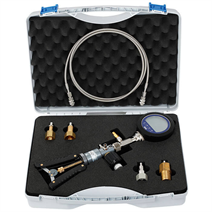 This calibration system consists of the test pump model CPP30 and the directly mounted precision digital pressure gauge model CPG1000. This combination makes it possible to set the measuring point precisely and to display the measured values in 21 possible standard units. Customer-specific pressure units can be also used with this system. The calibration system model BCS10 is delivered in a robust service case made of plastic. A foam insert provides additional protection and arranges the contents clearly.